I'm a former Diet Coke addict. I'm not sure how it started—I think it was just the cool thing to do in high school, and of course, I thought it would make me skinny. Before I knew it, 10 years passed and I couldn’t go a day without that beautiful, caramel colored, bubbly nectar— drinking at least 2-3 cans a day. Just the sight of that shiny, silver aluminum can would make me about jump out of my skin until I could get that first sip. I would get anxiety if we were ever running low at the house because I. Had. To. Have. It. It was my morning coffee and how I got through the day. I would choose restaurants according to if they carried coke products (because Diet Pepsi wasn't going to cut it), and would drive completely out of the way on my way home to stop by a McDonalds drive-thru, because any addict knows they have THE BEST Diet Coke in all the land. People said it was bad and I even read articles about it, but it just went in one ear out the other. I kind of wanted to pretend like I didn’t hear or let it be the one thing I just am not ready to give up. 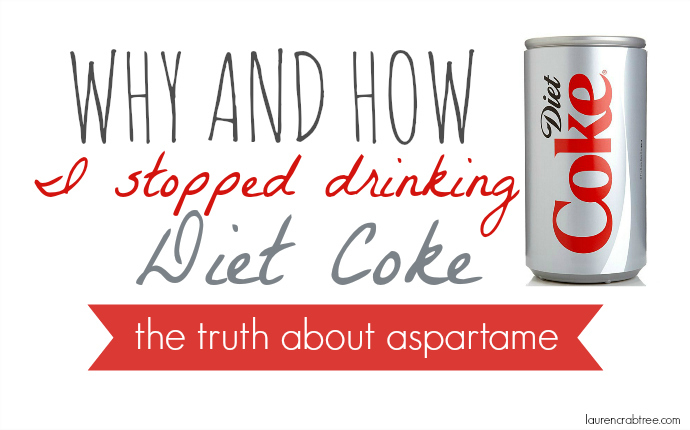 I even tried drinking regular Coke, but I was addicted to that nasty artificial sweetener—Aspartame. For some reason the thought of my child being affected by any and everything I was eating/drinking induced enough (good) mommy-guilt to make me kick the habit. (if I’m being honest, it wasn’t till almost the end of my pregnancy though). After a few months of weaning, and some relapses, I really did not crave it or enjoy the taste of it anymore. And now I'm proud to say I've been Diet Coke-free for over 2 years. I have less brain fog, anxiety, don't crave sugary carbs, and I just feel better all around. The key was replacing it. And water wasn't going to cut it. I needed something to look forward to and give me a little kick (if you will) during that mid-day slump—a special treat drink. So I started drinking iced tea (lightly sweetened of course), kombucha (my fave), coconut water (so yum), and La Croix (still not my favorite, but its a little more exciting than water). Granted, none of these give me the same little "high" that Diet Coke did, but eventually, I was just as excited about drinking a glass of kombucha as I was popping a can of DC. I know I'm about to sound like a total Debbie Downer, but I just want to share the truth about a few things I feel most people have no idea about—I didn't, thats for sure! I don't want to be a conspiracy theorist or anything, but it is plain to see that the FDA sometimes doesn't do a great job regulating the food and drugs we consume. We trust them repeatedly to know what's best, but the more research I do, the more I'm reminded that they don't seem to really care about us. How could something so toxic be given the "okay" to be in so many food products. 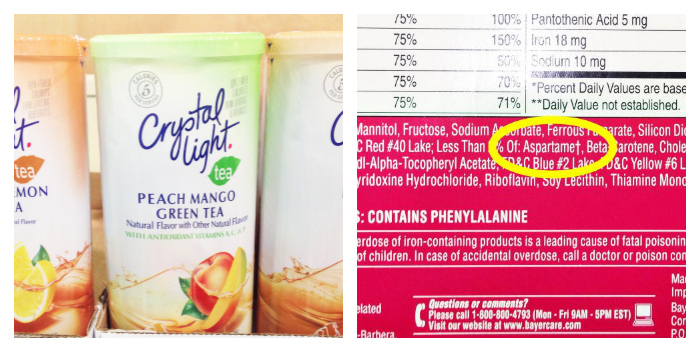 Another reason to always do your homework and read your labels. While real sugar isn't all that great for us, it is a far better alternative to artificial sweeteners. We like to use raw honey, REAL maple syrup, coconut palm sugar, or just plain 'ole organic cane sugar. There you have it, friends. I'm done with my rantings. If all this stresses you out and you're just NOT READY to give it up... make some small goals like just having one every other day— or ordering water or tea when you go out. This is a hard habit to break, so be easy on yourself. Baby steps. Your body will thank you, I promise! yeah, I'm so, so with you on this. I broke myself of the habit several years ago because I noticed that Diet Coke made me feel pretty gross after I drank it. And I am pretty much like the lab rats they've done studies on; when I consume aspartame, it just makes me want more sweet things, as opposed to if I actually let myself have a little something sweet when I'm craving it. I also used La Croix as a transition "fix"--the carbonation is nice--but eventually was able to transition to just water. My partner still craves the carbonation so we bought a soda stream. I've become a big kombucha fan lately and look forward to your promised post about making your own! Way to go on doing just water and breaking your habit! and yes, the Kombucha post will come soon :) I keep forgetting to take pics when I make it! 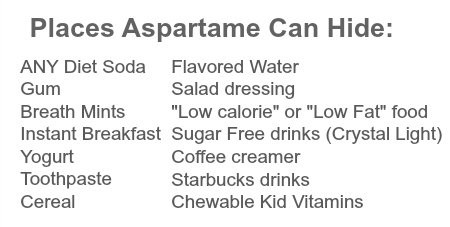 I lost 10 pounds several years ago when I stopped eating and drinking things that were sweetened with things like aspartame. I stopped eating light yogurt, like Yoplait, and stopped drinking diet drinks. I also went from low calorie salad dressings to full fat. I think the combo of leaving fake sweeteners and starting to eat real food had the effect of weight loss because I was suddenly more full more quickly and was truly satisfied by what I ate. Great post, Lauren! Keep 'em coming! That is UNBELIEVABLE!! Sounds like you're on the real food bandwagon! I am IN LOVE with this post. I was the same way with Diet Dr. Pepper and the hardest thing has been finding a variety or replacements aside from fruit infused water or tea. Great options for me to try out! Thanks for sharing this friend!